Priyanka Chopra: Priyanka Chopra has an amazing collection of cars. She is the only actress to own a Rolls Royce that costs 5 Crores. She also rides a pink Harley Davidson Bike. Katrina Kaif: This automobile aficionado has a rather expensive taste in machines. She owns an Audi Q7 that costs 77 Lakhs. Amitabh Bachchan: Big B has a truly enviable collection of almost 25 cars and his favourite one happens to be a Rolls Royce that cost 5 Crores. Shahrukh Khan: King Khan of Bollywood loves to drive like a King too. The actor owns a Bugatti Veyron which is priced at a whooping 12 Crores. Bipasha Basu: Like Katrina Kaif, Bipasha too owns an Audi Q7 which seems to be her favourite. Ranbir Kapoor: Supremely smitten by cars, this Kapoor lad seems to love the car game too much. 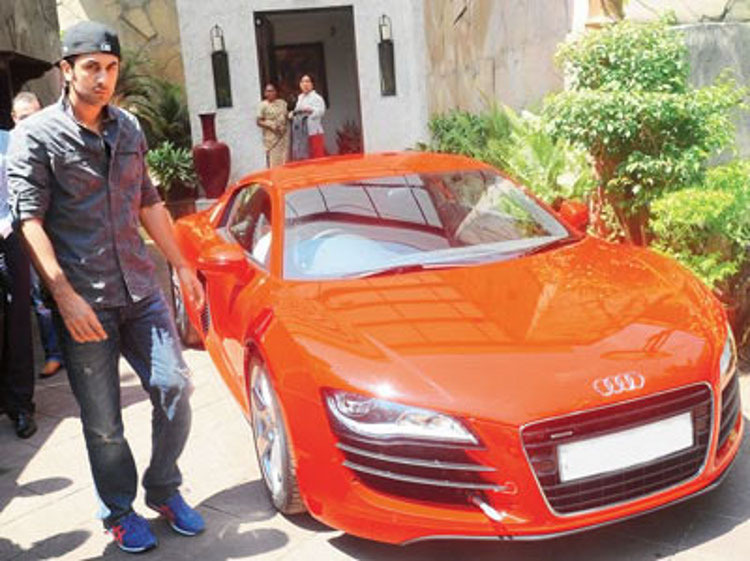 Currently, the actor owns a sparkling white Audi A8 that costs 1.2 Crores. He is also seen around driving his Range Rover and Mercedes Benz G63 at times. Deepika Padukone: Queen of simplicity, Deepika owns an Audi Q7 and a BMW 5 series. Aishwarya Rai Bachchan: This blue-eyed damsel owns an Audi A8, much like Ranbir Kapoor, a crisp white one. Kangana Ranaut: This rich babe owns a classy white BMW 7 series which costs 1.2 Crores. Alia Bhatt: The Audi Q7 seems to be the hot favourite of Bollywood actresses. With Alia Bhatt too owning the same, the swanky car just got a beautiful touch to it. 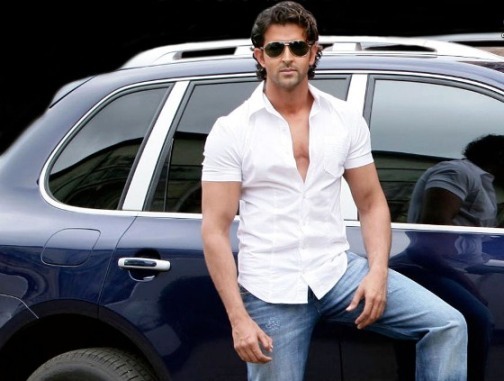 Hrithik Roshan: The Greek god of Bollywood owns a swanky, classy indigo blue Porsche Cayenne. Kriti Sanon: Newest in Bollywood, Kriti isn't far in the league of owning luxury cars. The leggy babe recently bought herself a BMW 3 series which costs 42 Lakhs. PC's Rolls Royce is a gift from! Yet dis shameless Micheal Jackson look alike lade flaunts it as if she has bought it!!!! What a silly list. There is no bugatti in the whole of India! What does the gunda mawali own? I'm not gonna lie... I was kind of surprised to see Kriti in this list. do u guys know onething??? they all have these luxury cars n this prosperous life because we watch their movies. everyone of us spend little of our money to bollywood and they lead this pleaseant life whether we have think hundred times before buying even simple honda car.... thumbs up if u agree guys!!! 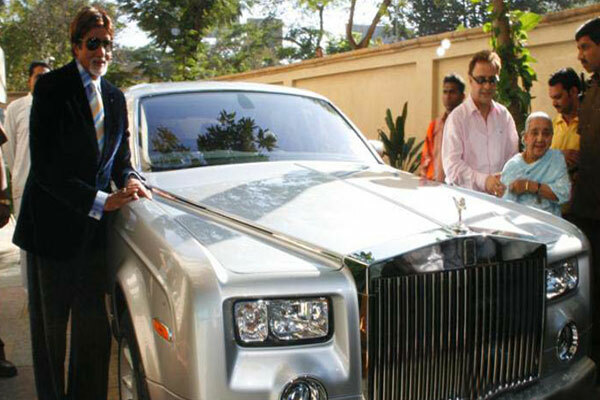 "Royal baba of bollywood had great taste "
Priyankas Rolls Royce was a Valentines gift by SRK!